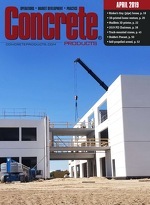 The Q3 2017 Forecast Quarterly Report of ConstructConnect (iSqFt, Construction Market Data, BidClerk, Construction Data source) has trimmed projected U.S. total construction starts growth for this year against 2016 from 4.8 percent to 4.5 percent, and the 2018 year-over-year gain from 6.0 percent to 5.9 percent. Combining proprietary ConstructConnect data with macroeconomic factors and Oxford Economics econometric expertise, the Q3 2017 Forecast shows the type of structure sub-categories among nonresidential building starts that will have banner years in 2017: Hotels/motels (+38.2 percent), Warehouses (+16.3 percent), Sports stadiums (+47.3 percent), and Courthouses (+110 percent). The 2017 forecast for nonresidential building starts was adjusted to -0.8 percent year-over-year versus the flat performance noted in the Q2 Forecast. According to the Q3 Forecast, nonresidential building starts in 2018 will rebound to +3.3 percent, with private office building and industrial/manufacturing sectors performing better owing to less drag from retail and medical project activity. Based on a heightened record of ‘actual’ starts through the first half of this year (+25.2 percent), projected heavy/civil project starts in 2017 were revised upwards to +16.5 percent from the +8.9 percent in the Q2 report. Projected growth in 2018 for the category has been raised to 7.4 percent from 5.8 percent. The forecast includes a few notable high points in 2017 year-over-year sub-categories: Airports (+38.0 percent), Roads (+14.0 percent), Bridges (+31.0 percent), and Power/oil and gas (+30.8 percent).